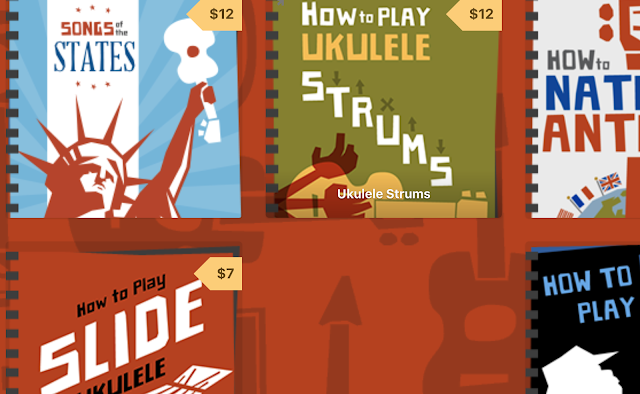 And that of using alternative tunings on the ukulele. Then I seemed to get a flurry of questions on email from readers who were experimenting with new tunings on their musical instruments. Thought it was therefore about time to look at this in a little more detail. First up, one of the most common myths you will see written about the ukulele is that standard tuning is GCEA (or rather gCEA with a small g to signify that re-entrant G, or GCEA if you are using low G). 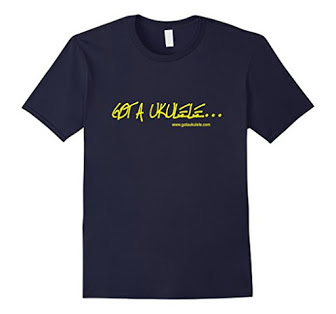 And that's it.... People think that IS the way to tune a ukulele, or more particularly, the ONLY way to tune them.... But that actually misses some pretty important aspects aside from it just not being true. Firstly, some years ago the more common tuning for the soprano ukulele was actually D tuning (which is ADF#B) and of course the most common tuning for the Baritone tends to be in G tuning (or DGBE). In fact, many banjolele players today will still use that D tuning as they prefer the sound and string tension. It gets more complicated when you realise that years ago the original tuning for tenor ukuleles was actually G tuning yet today most people go with C tuning and many Baritone players today go for C tuning..... So no, GCEA is only the standard of common convention TODAY. And what is common between all these other tunings is that they have the individual strings in the same interval relationship to each other. That is to say, they are effectively the same tunings but just in different keys either a bit up or a bit down in pitch. What does that mean? Well for a new player, the most important thing to bear in mind is that because that relationship between the strings is the same in C, D or G tuning (or any other that has the same relationship), the chord SHAPES themselves will still work no matter what tuning you use. Of course, the shape you play will then play a different chord to the chord you get in C tuning, but they still work as chord shapes. Understanding what those chord shapes then become is key to unlocking the ease of working with ANY other relative tuning. What I hear most commonly from people who are reluctant to try alternative keys is that they 'don't want to learn a whole new bunch of chords' or 'i'm still struggling with this tuning'. In fact, it's that reason that so many people are now choosing to tune their baritones to C tuning or even playing sopraninos at the ear piercing, shrill a whole octave above C tuning. They are doing it because they think it gets complicated when you change and they prefer to play what they know. And this post is intended to show you that it really isn't complicated at all. In fact it's easy. You already know it. 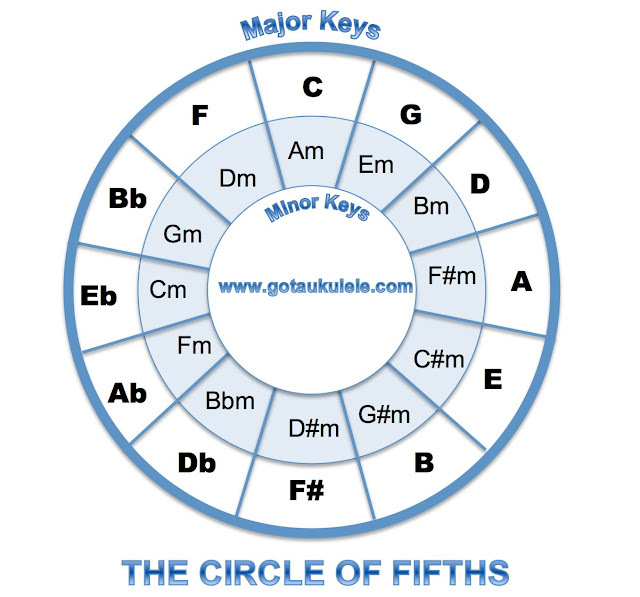 First of all, you really just need to understand the musical scale on a keyboard..
Or even better, print off a copy of the Circle Of Fifths that shows the notes of the scale in an order separated by musical fifths. A musical fifth can be heard by using a piano keyboard and counting up 7 half steps including the black keys. That is to say a total of 7 physical piano keys upwards. (And why 5ths, and not 7ths? Well because the 5ths refers the 5 intervals, which in a perfect 5th is made up of 7 semitones!) So from a C on the keyboard graphic shown above, the fifth above it is the note of G, being 7 keys (or 7 half steps / semitones) up from the C. Count them on the keyboard above to see. The next note in the circle of fifths, (and indeed all the notes work the same way) - 7 up from the G on the piano is D, 7 from the D is the note of A, and so on. Now do the same on the Circle of Fifths - you will see that because of how it is laid out, that 7 piano key step up from C to get G is immediately next to the C on the Circle. Likewise, the 7 piano key step from G to D - on the Circle, the D is next to the G. That's because the Circle is counting the fifths, or the 7 half steps! (Incidentally - the Circle Of Fifths is helpful in all sorts of other ways in music - such as transposing and finding chord relationships etc)). Oh, and for this purpose - don't worry about the inner circle - that's not used for this level of transposing. Anyway, I said this was easy, so let's put the theory away and get back to re-tuned ukuleles. As I say, a common factor that puts people off is the thought that they will have to learn a bunch of new chords. Bear in mind though, if you know your chord shapes for GCEA tuning, you already know the chord shapes for other key tunings so long as you keep the relationship between the strings the same! So lets look at the most common example - the move from C tuning to G tuning that players will face if they buy a baritone. We already know the chords in standard C tuning (called C tuning after that third string) and we know the baritone is in G tuning (the tuning of the third string again). Looking at the Circle of Fifths, we see that the G is therefore a fifth up from the note of C, as indicated by the fact it is immediately to the right of the C on the Circle. (And yes, I know that Baritones are tuned lower than C tuned ukuleles, but it is still in the key of G and the Circle of Fifths doesn't alter between octaves). 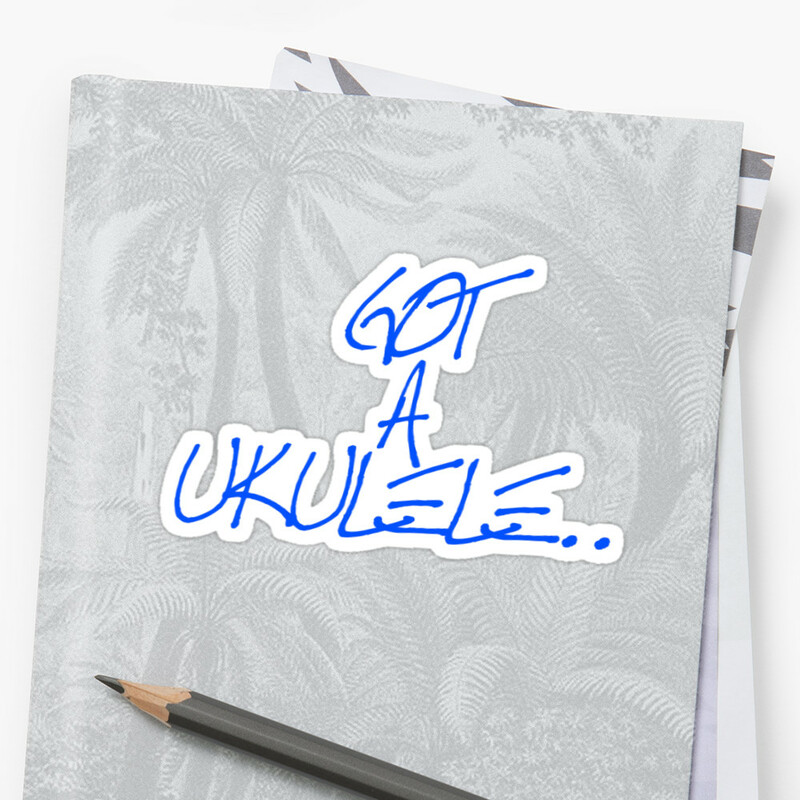 So we know that the G tuned ukulele is a fifth up from the C tuned ukulele or one space up on the Circle. 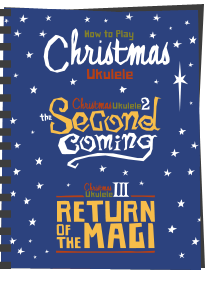 It therefore also follows that every C tuning shaped chord played on the G tuned ukulele will be a fifth up, or rather, one space clockwise on the Circle. And knowing that, and having the Circle with you will unlock the simple way of transposing. And this works with any tuning so long as the string relationship is the same. I mentioned above the common practice of tuning sopranino ukuleles with C tuning but a whole octave above the soprano. I think it sounds shrill and overly bright myself and I therefore prefer to tune mine in F tuning (CFAD). I just think it's nicer on the ears. And once again people look in horror and say, 'but I don't know the chord shapes for that!'. You DO know them, for exactly the same reason as above. Back to the Circle of Fifths - we note that the F is one step to the left of the C. Therefore, if you play a C chord shape on an F tuned ukulele you get an F chord. 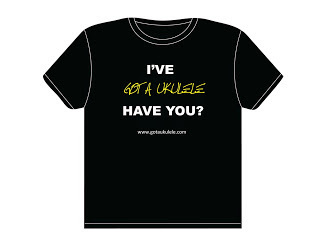 Play a G chord shape on an F tuned ukulele and again, using the circle to go one step to the left, you get a C chord. Play an A chord shape and you get a D. All of them being one step to the left on the circle. It works for all chords. Want to go really exotic? - what about tuning to A tuning (EAC#F#) - I've never done that, but bear with me! Again, using the circle and we note that the A is three steps round to the right from the C. So playing a C chord shape will give you an A, playing a G chord shape gives you an E. And so on. And that really is all there is to it. Yes, you could use a piano keyboard to work out the fifths sequence if you like, but just printing off the Circle (or memorising it) is so much easier. Use the circle to work out the relationship between the chord shapes you already know in C tuning and the key you want to tune to - and that difference in numbers of steps left or right from C on the Circle can be applied to all the chord shapes. I hope that helps and I really hope it means that people will stop being worried about moving to Baritone. Heck, I LOVE Baritone ukes and they are no harder to play than any other! 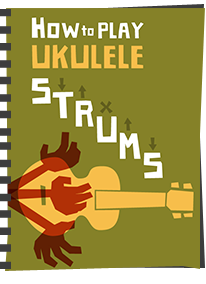 Bear in mind that this article just deals with changing the key tuning of the ukulele whilst keeping the string intervals the same, and doesn't apply to other more exotic tunings like dropped strings and open chords, but I may save that for another post! Have fun! I would really like to read a post of yours on dropped and open tunings. I think what stop a lot of us to go into different tunings is that you have to acquire again the "automatic muscle memory". When you see "G" your hands automatically moves into position without thinking, even with different voicing. If you change tuning you have to think "well... G is... C shape" while strumming and singing. And if you are accustomed to play a song with a tenor and someday you play it on baritone, then I think my mind would take me to the same "tenor" positions as soon as I lower my "guard". But I think is only matter of exercise. Anyway, sooner or later I will try a baritone. I first learned D tuning when I started playing back in the 80s and still reckon it's the best sounding for a soprano. I also have a soprano in C and a sopranino in F so I've taken to marking up all my song sheets with just the chord boxes not the chord names. Obviously for songs which I want to play in any of those tunings I need three sets of song sheets, but that's a lot easier than trying to remember the transpositions on the fly! 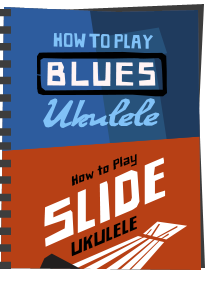 Sheet music from the 20s and 30s of course often just had the ukulele chord boxes, with a mention at the beginning to say what the uke would need to be tuned to if playing along with the piano and everyone else. George Formby used to carry various ukes with him in different tunings so he could play his trick syncopated style regardless of what key the band were playing. That third paragraph; you say that a baritone is in both D tuning and G tuning. At this point my brain freezes. Not at the same time Sally! They are just different key tunings. Whilst a ukulele (soprano, concert, tenor) is normally in GCEA, it can equally be in other tunings that are relative to that, like ADF#B. The Baritone is usually in DGBE (G tuning). but can equally be tuned in other ways. When the tuning is relative like that - ie GCEA is the same note sequence apart as DGBE, and ADF#B, then the chord SHAPES are exactly the same - just the chords they play differ. Tune my soprano to aDF#B, my concert to gCEA, my tenor to g#C#E#A#, (or abDbFBb). I try different tunings as I have collection of ukes ... 8 so far. Newest is my baritone so up to now only got it in DGBE with WORTH STRINGS ALL flourocarbon as I HATE wound strings in ukes. So no steel wound D. works lovely for me but I'll experiment with tunings. Hi Baz, brilliant article mate! I've been playing 'C-tuned' for 18 months and have just got a bari about two months ago. I love it and the different, boomy warm sound it gives me. I understand every word of your article and it didn't take me long at all to realise the 'if you want a C-chord, play an F-shape etc' idea, and how the circle shows that. I've also met people using a bari tuned at GCEA because they 'can't make the switch'; I've also heard people say to me: 'it's great how you can transpose as you play! ', which is kind, but it becomes second nature very quickly and you just 'know' that the same shapes give you a different sound. One final point: if you're playing alone, and have a new bari or alternatively-tuned uke, you could just play the same shapes and just enjoy listening to your songs in a different key! Will tuning a barione like a tenor make it higher in pitch? Thank you for your amazing site.